1. Sautéed vegetables: In a wide frying pan, sauté courgettes, leek, apple and carrot in 1/4 cup olive oil until golden, and set aside. In a large saucer warm the vegetable stock and bring to the simmering point. 2. In a casserole dish, sauté the shallots and garlic in the last 1/4 cup of the olive oil until they are translucent. Add the barley and stir, cooking until the barley is almost toasted, about 5 minutes. Add the Marsala wine and ½ cup of hot vegetable stock. Simmer — stirring about 6 minutes — until liquid is absorbed. 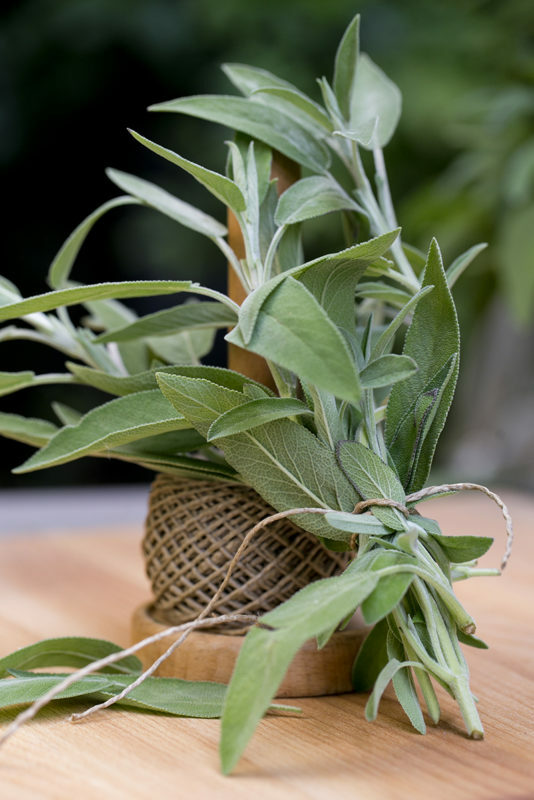 Stir in the sage and thyme. 3. For the risotto: Add the rice and stir, to combine. 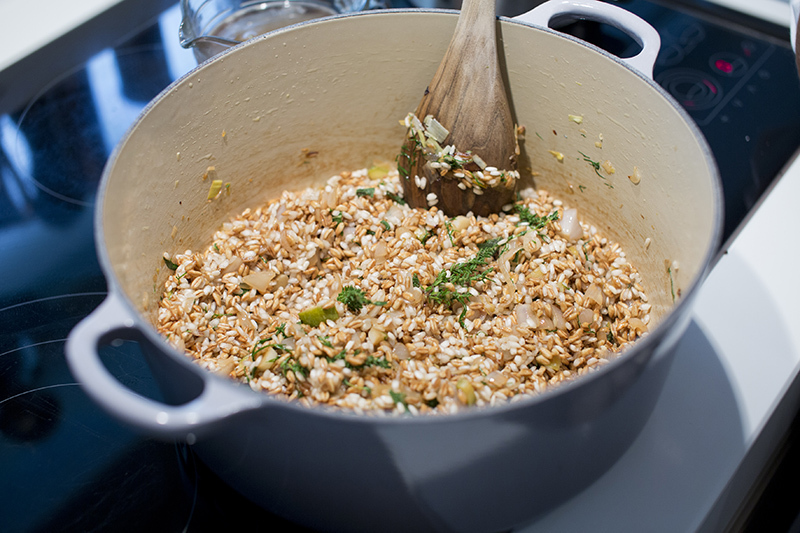 Add the stock — about ½ cup at a time — stirring constantly until the liquid is absorbed and the grains are soft and moist, but not mushy, approximately 30 to 35 minutes. Add sautéed vegetables and stir to combine. 4. 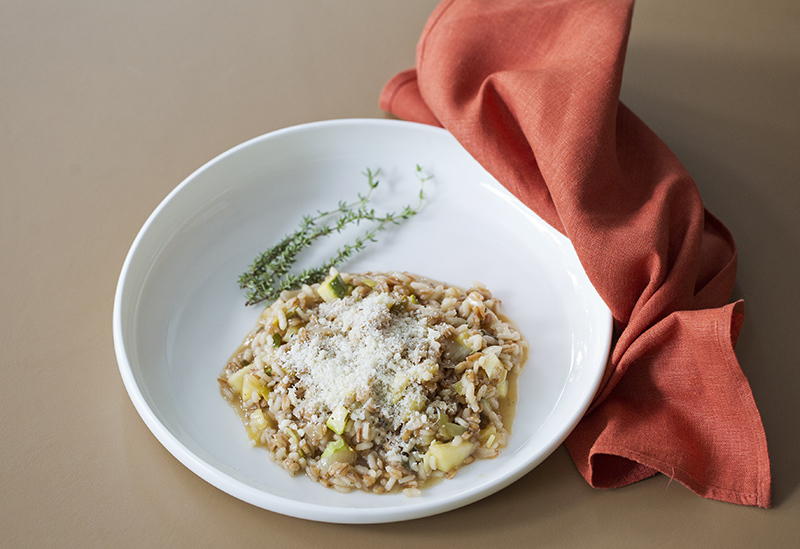 Serve immediately with freshly grated Parmesan or Pecorino cheese.